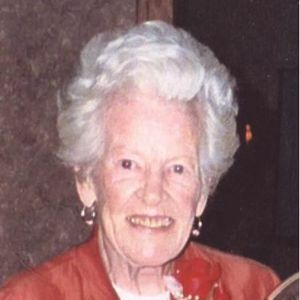 Mae Gieseler, age 91, passed away at Cornerstone-Winter Park Towers in Winter Park, Florida on Wednesday, May 2, 2012. She was born February 6, 1921 in Bridgeport, Connecticut. Mae raised her family in New Jersey and New York before settling in Winter Park, Florida. She worked as a dietician at Winter Park Towers for more than twenty-five years. She was a long-time member of St. Margaret Mary Catholic Church in Winter Park, Florida. Mae will always be remembered for her zest for life and her positive influence on others. She loved playing Bingo, cards, and most of all, being with friends. She was a wonderful sister, mother, grandmother, and friend. Funeral Mass will be held at 11:30am at St. Margaret Mary Catholic Church Chapel on Friday, May 4th. A reception at the church will follow the service.